Here’s a bit of cake etymology . Find out some language facts about this dessert. 1. In Roman times, eggs and butter were often added to basic bread to give a consistency that we would recognize as cake-like, and honey was used as a sweetener. The distinction between Roman concepts of cake and bread was therefore very blurred. 2. The “cakewalk” dance originated in African American communities in the Southern United States and was originally a competition in graceful walking, with cake awarded as a prize. 3. According to The Diner’s Dictionary, the proverb ‘you can’t have your cake and eat it’ first appears as early as the 16th century, however, the proverb ‘a piece of cake’ was not coined until the 20th century and is possibly related to the cakewalk competition. 4. The word ‘cake’ comes from Middle English, kake, and is probably a borrowing from Old Norse (compare the modern Norwegian kake, as well as Icelandic and Swedish kaka). It is also related to the German word for cake, Kuchen. Interestingly, the French, Spanish, and Italian words for ‘cake’ do not share a common root; they are gateau, pastel, and torta respectively. They are, however, related to the English words ‘gateau’, ‘pastry’, and ‘tart’. 6. The Oxford English Dictionary of Supertitions cites examples of cakes being made for superstitious reasons. A “soul cake”, in various parts of England, is made on All Souls’ Day and kept for good luck, while a “burial cake” was kept close to the head of a dead person, and one had to have a piece of the cake in one’s mouth when looking at the body. 7. 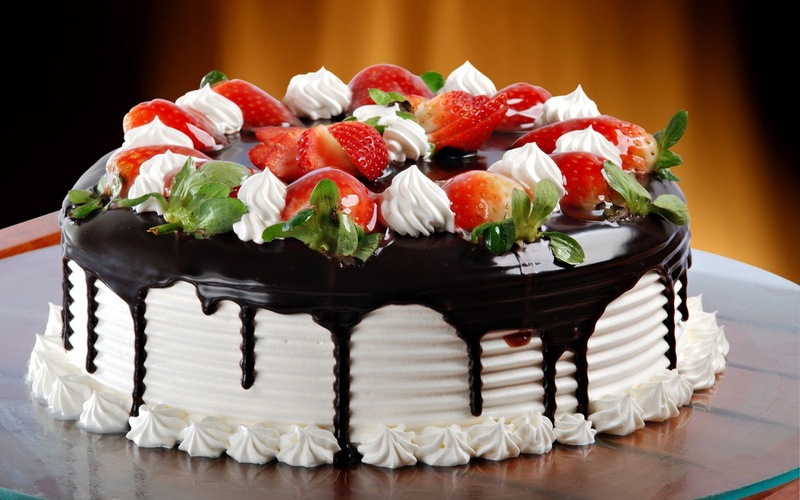 The French word for cake – gateau – entered the English language in the 19th century and was often used to refer to a savoury dish that included meat. The OED has citations for ‘veal gateau’ and ‘fish gateau’. 8. The famous saying, ‘let them eat cake’, was attributed to Marie Antoinette upon learning that her people had no bread, but the saying was probably much older. In his Confessions, Rousseau refers to a similar remark being a well-known saying, and another version ‘why don’t they eat pastry?’ is attributed to Marie Thérèse, who was born more than a century before Marie Antoinette. 10. In Scotland, and parts of Wales and northern England, cake took on the specific meaning of ‘a thick, hard biscuit made from oatmeal’. From the 17th to 19th centuries, Scotland was humorously known as the ‘Land of Cakes’ and until comparatively recently, according to The Diner’s Dictionary, Hogmanay was also known as ‘Cake Day’ from the custom of calling on people’s houses at New Year and having cake. 11. The French language has borrowed the word ‘cake’ to refer to various sorts of rich fruit cake. This entry was posted in Uncategorized and tagged Cakes, Fire, insurance, MAPFRE, MAPFRE Insular, Motor, Philippines. Bookmark the permalink.